"Martina proved to be a dedicated and enthusiastic designer who worked tirelessly to source suitable products for the clients' needs." InStil Design supplies only the finest premium quality bathroom products or individually commissioned bespoke bathroom furniture, natural stone settings and glass solutions (including frameless shower enclosures and coloured glass walls). Because all of our clients are individuals, we want to ensure we can create individual solutions, so our philosophy is to search the market for product that makes your bathroom possible. 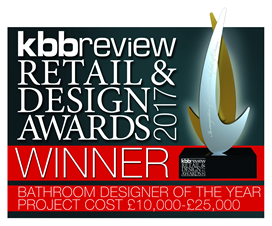 We have no lock-ins with any specific manufacturers and therefore our palette of products covers every range of bathroom styles and budgets. And, if your vision is totally bespoke, we work with a range of commercial and artisan manufacturers to create something directly from your imagination. As soon as you place your order with InStil Design, we take responsibility to track it from manufacturer all the way through to delivery to your home or installer. We have a secure warehouse facility, where products are thoroughly checked before final delivery on agreed day and time. We will liaise with you and your installer to ensure you are made aware of delivery requirements such as access and unloading. We only use our approved delivery partners to ensure we maintain complete control of the delivery process. If your delivery requires further assistance when unloading we discuss these requirements with you and/or your selected contractor. Our manufacturers and delivery partners know our exacting requirements because we know that timing and professionalism at this phase is critical to an on-time and on-budget installation phase.